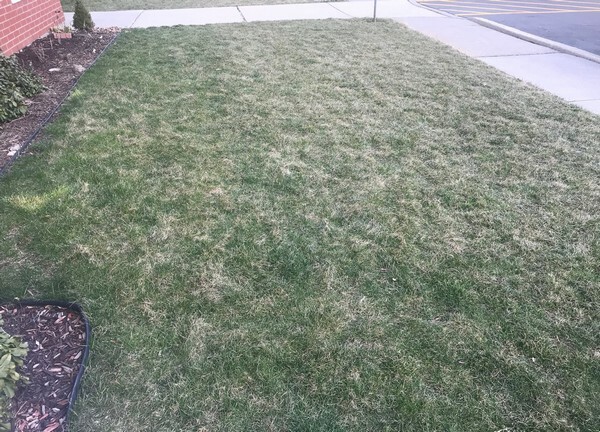 How soon does my lawn turn green in the spring? Warmer soil is causing lawn to warm gradually. The soil closer to the building gets warmer due to more light reflected off the building (this wall faces south) and possibly from heat transferred to the soil from the building. Other parts of the lawn are still brown and not greening up yet. 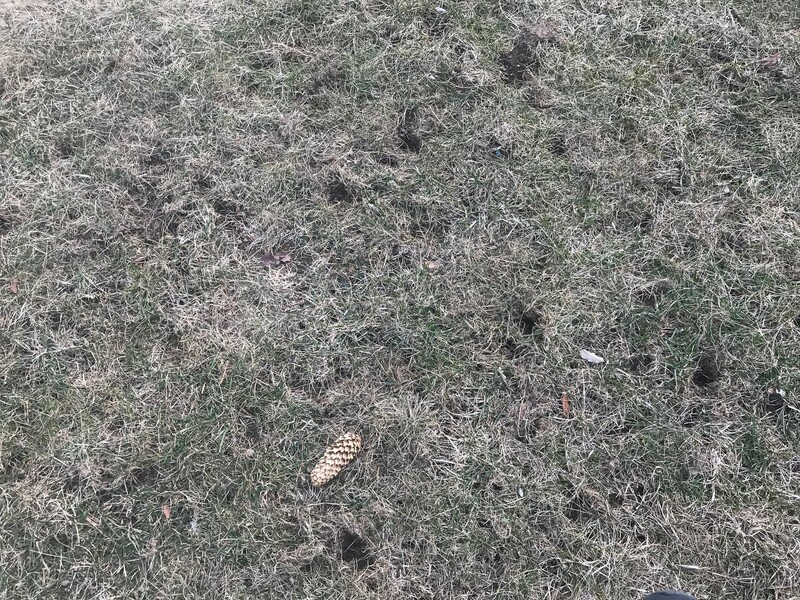 Why do I have holes in my lawn so early in April? Is some animal digging in my lawn? Leather jacket (larvae of the crane fly) have been living in this lawn since hatching from eggs last fall. Skunks or raccoons have been on this lawn getting their midnight protein snacks. 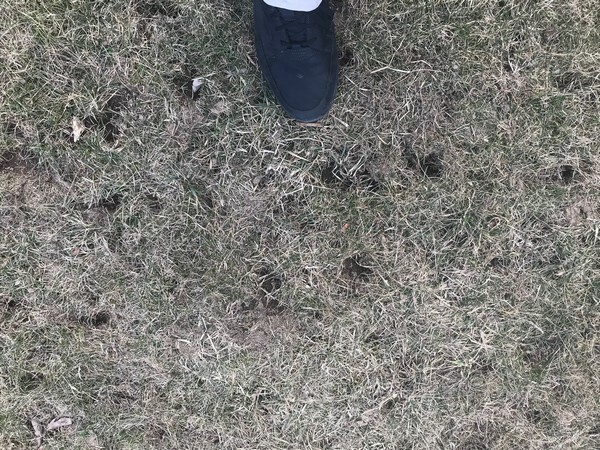 Although one may think that the animals are digging for white grubs (larvae of June bugs, Japanese beetle or European chafer), this lawn does not appear to have grubs. 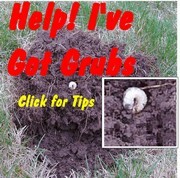 Grubs eat the roots of grass and when animals dig for them, the grass usually comes up in chunks 4-6” (10-15 cm). Leatherjackets don’t eat the roots so the lawn is still intact. Instead of chunks of lawn torn up, you only find these small holes in the lawn. Also I did grab the grass and it did not pull up. 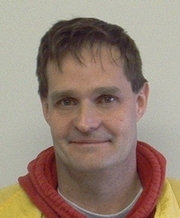 This would happen if grubs has eaten the roots. 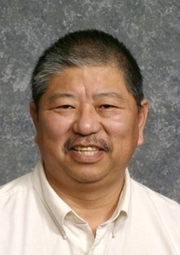 Summer drought and summer insects can damage lawns. Lawns in shady areas tend to thin out from the lack of sunlight. 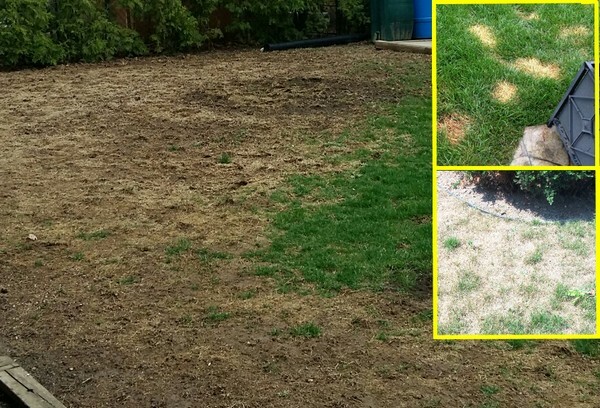 How can bare, thin or damaged lawns be repaired? 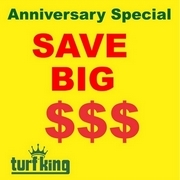 Turf King almost always recommends aeration and overseed as the way to improve your lawn. Seeding is much less expensive than sodding. Sodding is great if you need an instant fix. Seeding takes a little longer but in the long run is better. With seeding, use a high quality seed mix with several species. 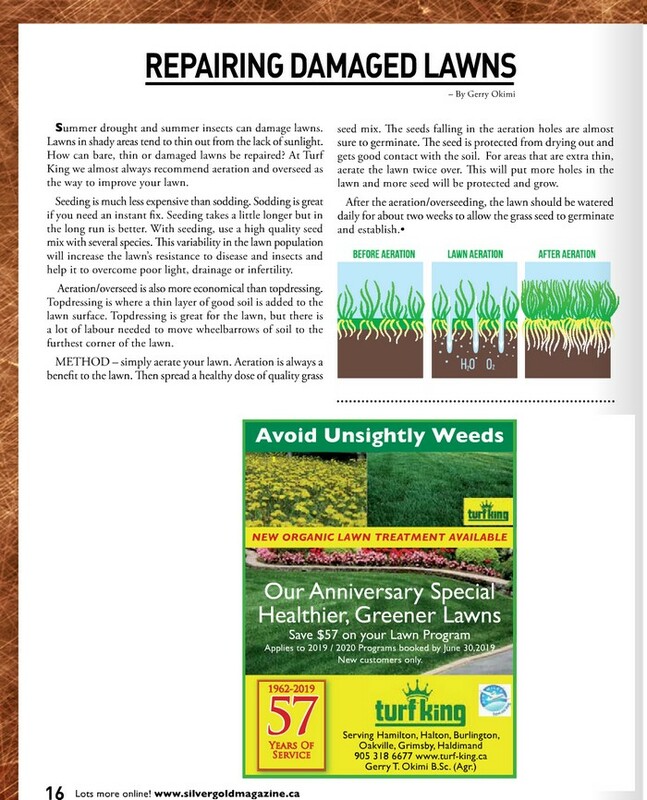 This variability in the lawn population will increase the lawn's resistance to disease and insects and help it to overcome poor light, drainage or infertility. Aeration/overseed is also more economical than topdressing. 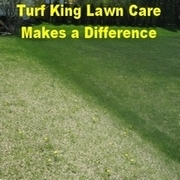 Topdressing is where a thin layer of good soil is added to the lawn surface. Topdressing is great for the lawn, but there is a lot of labour needed to move wheelbarrows of soil to the furthest corner of the lawn. METHOD- simply aerate your lawn. (An aeration is always a benefit to the lawn.) Then spread a healthy dose of quality grass seed mix. The seeds falling in the aeration holes are almost sure of germinating. The seed is protected from drying out and gets good contact with the soil. 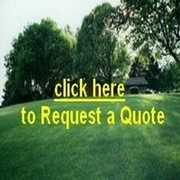 For areas that are extra thin, aerate the lawn twice over. This will put more holes in the lawn and more seed will be protected and grow. After the aeration/overseeding, the lawn should be watered daily for about 2 weeks to allow the grass seed to germinate and establish. Look out! Here comes Spring! Can a Rainy Spring Affect Your Lawn? We hit our Goal! Lincoln Park looks Great!